MULTIPLE OFFERS RECEIVED HIGHEST AND BEST DUE BY 5PM 3/7/19. A GREEN THUMB'S PARADISE! This property with just over an acre of land is amazing and hard to find! Country living for those who wish to be away from the hustle and bustle but close enough to the city for all of life's needs. The land is level and has a small creek that runs through the left side of the property. The soaring oak trees provide shade and all of the vegetation is a gardener's dream. Fruit Trees, 4 Raised Garden Beds for vegetables, a custom Chicken Coop that even the chickens are proud to reside in and cross fencing provide an excellent opportunity to "live off the land". There is a workshop located on the property for the handy enthusiast that is equipped with water and electric and an RV outlet for the traveler. Don't miss seeing the custom built 2 story play house with extra storage. From the moment you walk onto the screened front porch this place feels like home. This large porch is a wonderful place to gather or relax and soak it all in. The home built in 1920 is full of the original charm but has been updated to suit the needs of today. 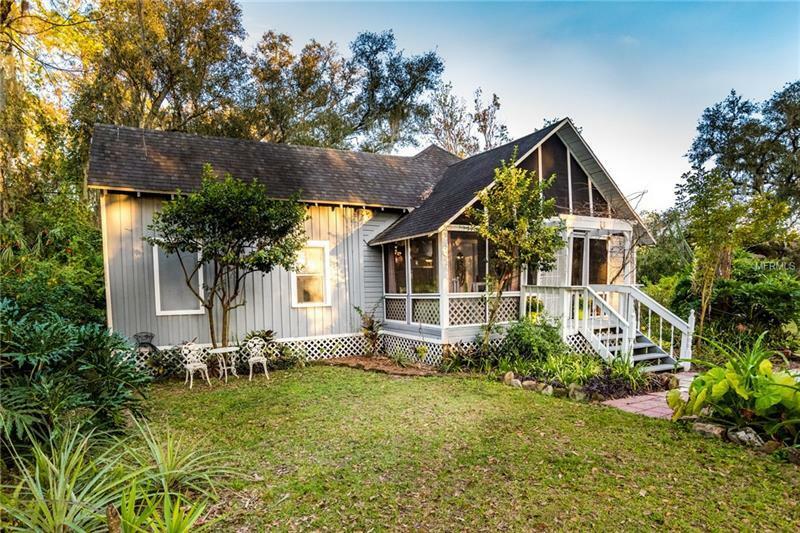 Updates are abundant and include things not to miss such as updated kitchen, cedar walls in the bathroom, built in bunks, original claw foot tub and lighting. You must see this property to appreciate all it offers. For more descriptions please look through the photos. Don't wait, call your REALTORÂ® today!